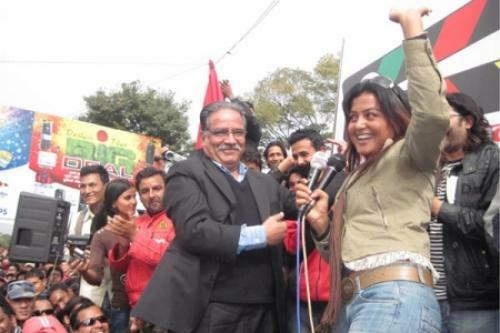 Rekha dancing with UCPN Maoist supremo Prachanda in a program in 2009. That was the time the party was encircling Singh Durbar. Rekha sang a song at that time. Rekha Thapa inaugurating Niel Davis’s new Salon in Kathmandu Mall, on Thursday, Aug 02 07. 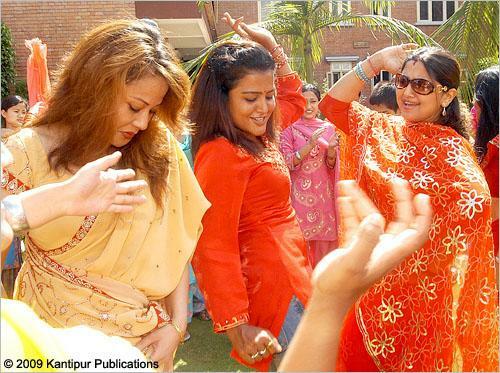 This entry was posted in Event, Photos, Public places and tagged dance, Dipashree Niraula, Haribansha Acharya, Inaguration, Maiti Nepal, Niel Davis, Prachanda, protest, Rekha Thapa, Srijana Basnet, Sushmita KC, Teej, Yash kumar, Yuvaraj Lama. Bookmark the permalink. Thanks. But, can’t accept it like that.